Andrew is a millennial speaker and content developer with Growing Leaders. His experiences as both presenter and curriculum designer have led him to become well versed in communicating to and about the next generation. Andrew is a sought-after millennial communicator who brings a unique generational perspective to audiences. 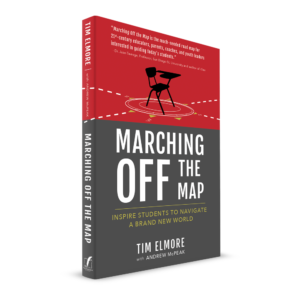 He is the co-author of Dr. Tim Elmore’s latest book Marching Off the Map and he has shared insights from this resource with educators, coaches and business leaders around the country. He also co-hosts the Leading the Next Generation with Tim Elmore podcast. Andrew also serves as the Director of Program Excellence at Growing Leaders where he and his team work closely with schools, universities and sports teams on effectively implementing Habitudes as a tool to teach life and leadership skills.